We are all Buddhas by nature–we only have to awaken and recognize who we are and how we fit perfectly in this world. This is the teaching of the innate Great Perfection–Dzogchen. Introducing us to this natural wisdom and compassion is the life-work of Lama Surya Das. We invite you to join Dzogchen Lineage Holder Lama Surya Das for our annual Summer Dzogchen Meditation Retreat at the beautiful Garrison Institute as we awaken to the joy of naturally-arising timeless awareness and discover the View, Meditation and Action of the Great Perfection: timeless and inspiring heart-essence instructions passed down in this contemplative tradition for many centuries. Please Note: This retreat will be held in silence. 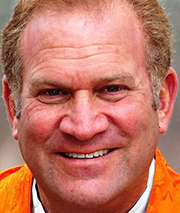 Lama Surya Das, who the Dalai Lama affectionately calls the “American lama”, has spent over forty five years studying with the great spiritual masters of Asia. He is an authorized lama in the Tibetan Buddhist order, and the founder of the Dzogchen Center. and Foundation. Surya Das is the author of the international bestseller, Awakening the Buddha Within: Tibetan Wisdom for the Western World, and twelve other books, including his latest release, Make Me One with Everything: Buddhist Meditations to Awaken from the Illusion of Separation.” His blog Ask the Lama can be found at askthelama.com. To see Surya’s lecture and retreat schedule please click here to visit his website.